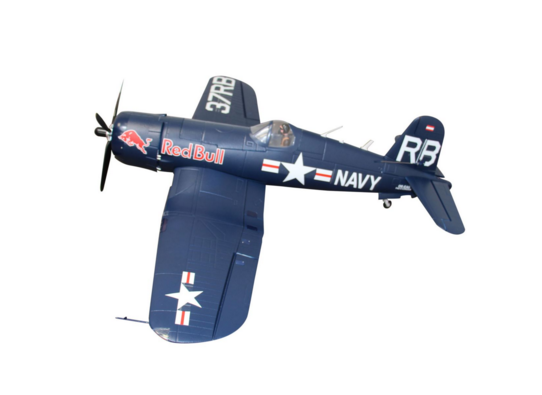 Races like the pros - with the original faithful Warbird F4U Corsair of the Flying Bulls. 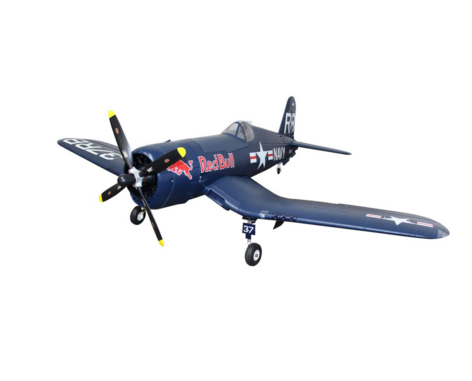 The RED BULL F4U CORSAIR from Staufenbiel is made of extra-solid EPO hard foam material and offers an impressive realistic flight picture - directly from the pack! 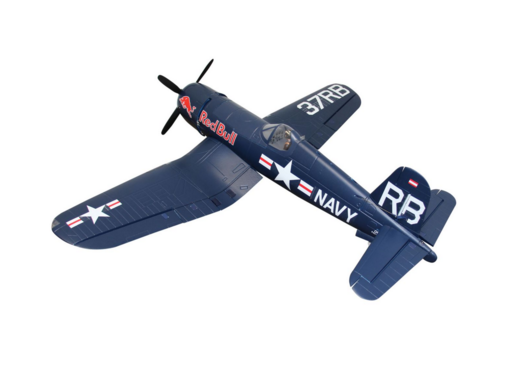 The design of the RED BULL F4U CORSAIR was specially designed for the high speed range. This model combines a favorable purchase price with an extremely short construction time and a great look with good-natured flight performance. 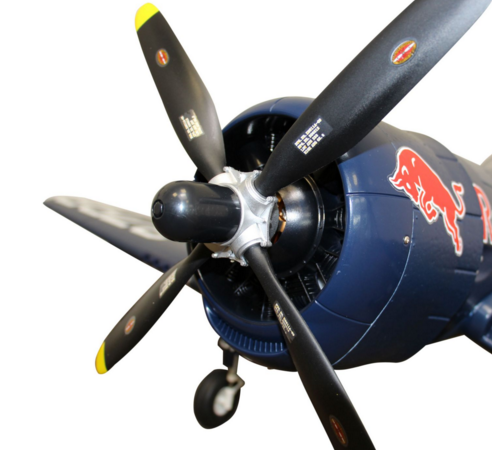 Thanks to intensive cooperation with Red Bull® has constructed with the F4U CORSIAR a 100% prototypical model aircraft the company Staufenbiel. 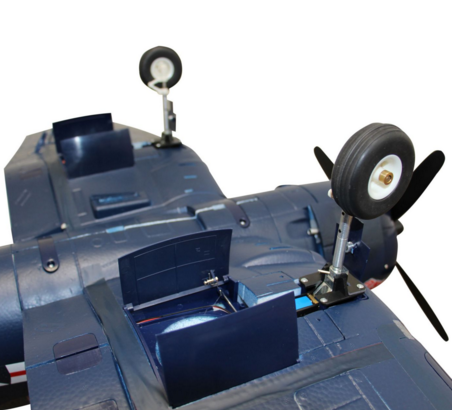 A highlight of this model is already finished built and installed retractable landing gear. The suspension is enormously robust and gives the model a great look. The retraction of the chassis gives the Corsair an even better aerodynamics and thus higher speeds. The functioning flaps, the model shows a remarkably good-natured slow flight behavior and can be fantastic land precisely with carrier gas. In the downturn at full throttle the typical noise develops, so that deep overflights with the model at Vollspeed very impressive. 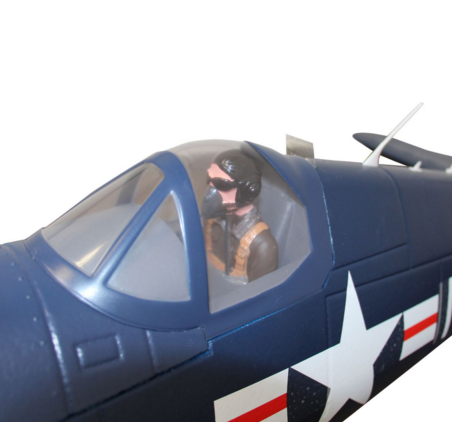 The RED BULL F4U CORSAIR has already built-in LED position lights which on the one hand facilitates the positioning of the model to the pilot and amplifies the other hand the authentic look. The model is constructed from tough EPO foam material. Small crash damage can be repaired quickly and easily with an adhesive. the motor and the controller with SBEC are already built exactly like the 8 servos. The model is ready to fly in just a few steps. In addition, all parts of the model are painted and embossed.